Robert Gould Shaw is best remembered in history as the brave colonel who led the 54th Massachusetts in their fearless charge at Fort Wagner. But what makes him an extraordinary individual lies beyond this noble deed. In what would be a few months with the regiment, Shaw’s remarkable personal growth found him transformed from “an ordinary mortal” to a compassionate and selfless leader who “laid down his life” for his men and “for a race.” This is what makes him a true hero. Robert Gould Shaw was born on October 10, 1837 in Boston, Massachusetts, the second child and only son of Francis George and Sarah Blake (Sturgis) Shaw. As the grandchild of successful merchants who had amassed millions of dollars in the trade industry, Robert enjoyed a comfortable upbringing with his four sisters. From the early years of his sheltered childhood, he demonstrated a fondness for family, companionship, and social events. When Robert was four, his father, a merchant and part-time lawyer, retired at age 32 to pursue a literary career and philanthropic interests, and to spend more time with his family. Francis relocated the family to the country near Brook Farm, an experimental commune inhabited by intellectuals such as Ralph Waldo Emerson, Nathaniel Hawthorne, and Margaret Fuller. Living in this area until he was nine, Robert was introduced to these freethinkers’ beliefs as well as the open-minded ideals of the local Unitarian church members. He began to develop an understanding of abolitionism, a cause supported by his parents who were prominent and well-respected humanitarians, social reformers, and anti-slavery activists in their community. However at this young age Robert did not yet fully embrace his parents’ philosophies on life. Following the decline of Brook Farm, the Shaws lived at residences on the East Coast and overseas in Europe. Robert briefly attended a preparatory school in New York, with lessons in languages and violin. At a boarding school in Switzerland, he studied math, various languages, and violin and piano. His life was miserable at these institutions, because he missed his family and disliked authority and discipline. Seeking diversion in Europe, Robert frequented the theater, opera, concerts, and parties. He widely toured the continent with friends, much to his parents’ displeasure. Away from home, he began to ponder his own identity and questioned his parents’ principles. But through his wayward adolescent years, he still felt close to his mother and siblings. In 1856, Robert passed the entrance exam to Harvard but did not excel in academics, preferring to spend more time on extracurricular activities such as sports and a musical group in which he played violin. Initially insecure about his diminutive stature at five-feet, five-inches, he gained more confidence when he was elected president for many clubs in which he participated. Yet he still remained uncertain about his career goals and therefore was not disappointed when he left the university in the spring of 1859, after the Panic of 1857 found the family fortune cut in half. At first Robert was enthusiastic about working for Henry P. Sturgis and Co., his uncle’s mercantile office in New York City. But half a year later, he became bored with the daily monotony of inventory. In 1860, after Abraham Lincoln became President and the Southern states seceded from the Union, Robert enlisted with the Seventh New York National Guard. This exclusive military regiment was comprised of sons from New York society who were intent upon proving their worthiness and patriotism. The Seventh sprung to the call immediately following the firing on Fort Sumter on April 12, 1861. In their na ve optimism, the young men believed that the conflict would be brief and so agreed to volunteer their services for only 30 days. After the unit disbanded, Robert decided to remain in the military. On May 10, 1861 he obtained an officer’s commission as a second lieutenant with the Second Massachusetts, a newly-formed infantry, and for the next 20 months these men were comrades and family to him. Life with the Second Massachusetts gradually changed Shaw’s outlook on the war and his own existence. Though as an officer he was able to attend elegant parties and eat and sleep well, for the first time he was among men of other social classes with whom he had to depend upon for his survival. Shaw quickly adapted to his new environments at each camp and, being fond of traveling, took in the vistas of Virginia and Maryland with great pleasure while on the march. Through the daily routine of drilling and soldiering he began to appreciate discipline, having witnessed the success of regiments that maintained strict order. Given a goal in the army, he now began to feel more alive with a purpose. But he also yearned for action on the battlefield to prove his manhood. Shaw’s wish would soon be fulfilled. During the Shenandoah Valley Campaign, the Second was ordered to cover the retreat from Strasburg, Virginia in the battle at Front Royal on May 23, 1862. In this engagement Shaw received a minor wound and was recognized by his men for exhibiting courage and a cool composure during the fray. But the Second would not experience their real baptism of fire until the Northern Virginia Campaign at the Cedar Mountain wheatfield, August 9, 1862. The regiment suffered terrible losses and would be tested again on September 17 at the Battle of Antietam, considered the bloodiest single day in the war. Shaw, now a captain in the unit, received a minor wound but felt the excitement of the battle as never before. However, after enduring the horrors of this event, he wished more than ever that the war would end. The autumn and winter of 1862 found Shaw and the Second Massachusetts inactive, as they were not ordered to participate in the Battle of Fredericksburg in December. During this lull, Shaw briefly entertained thoughts about joining the cavalry, then—ever vacillating between ideas—decided to continue the fight with the Second, determined to remain in service until the end of the war. Missing home and family, his thoughts also turned to Annie Haggerty, a young woman from a prosperous family in Lenox, Massachusetts, who had won his heart prior to the war. In late November he proposed to her in a letter and they planned a wedding early next year. Following the Federal victory in the Battle of Antietam, President Lincoln had declared a preliminary Emancipation Proclamation, warning the Confederacy that if they did not return to the Union their slaves would be freed. The proclamation, which was officially issued on January 1, 1863, liberated more than three million slaves in the Southern states, changing the dynamics of the war. With the war soon to be entering its third year, and the ranks being depleted due to battlefield casualties and desertions, the Union army was in great need of new recruits. By the end of January 1863, Lincoln authorized Secretary of War Edwin M. Stanton to allow black men to enlist in volunteer regiments. Though the idea of arming black men was controversial and unpopular among many white soldiers and citizens, this move found great favor amongst the abolitionists with whom the topic already had been discussed. Early next month, pro-abolitionist Governor John A. Andrew of Massachusetts executed his plan to form a black volunteer regiment. This unit, the 54th Massachusetts, would be the first of its kind in the Northern states. Governor Andrew approached Shaw to lead the new regiment as its colonel, because of his family’s powerful and respectable status in society and their principles on anti-slavery. At first Robert was reluctant to leave the Second Massachusetts, unsure about assuming this great responsibility and his ability to live up to everyone’s expectations. He initially turned down the governor’s offer then reconsidered, feeling that his mother would be greatly disappointed in him if he refused. Accepting the colonelcy, on February 15 he arrived in Boston to assist with the formation of the regiment. The most ardent speaker urging black men to enlist in the 54th was Frederick Douglass, a great orator, writer and social reformer who, born a slave and having escaped to freedom, would help to emancipate thousands of slaves during his lifetime. Borrowing a line from English Romantic poet, Lord George Gordon Byron, Douglass proclaimed to black men: “‘Who would be free themselves must strike the blow.’…I urge you to fly to arms and smite to death the power that would bury the Government and your liberty in the same hopeless grave. This is your golden opportunity.” To encourage the men and show his support, Douglass sent his sons Lewis and Charles to be enlisted. From February through March, Shaw organized and drilled the recruits at Camp Meigs near Boston. As a commanding officer he was a strict disciplinarian, largely out of his concern that the failure of this experimental regiment would bring ridicule and shame to all, damaging future chances for more regiments of its kind. The men were issued uniforms and housed in wooden barracks. Shaw ensured that they were properly nourished and furnished with necessary supplies. However, despite his provision for the comfort of his men, he initially harbored some prejudices about their mannerisms. Shaw supported the Emancipation Proclamation and wished for the abolishment of slavery, but in his early days as their officer he did not see his men as individuals. Twenty-five years old and lacking in wisdom and experience, he had yet to learn about members of a race outside of his own. By the end of March, Shaw was enlightened on the intelligence of the many educated men in his unit. He also admired their resolve and relative ease in adjusting to military life. As Shaw gradually began to treat his men with more respect, they respected him more in return. On May 2, Robert and Annie were married in New York City, and not long afterwards he was ordered to return to camp. Major General David Hunter, commander of the Department of the South, had requested the 54th’s presence at his headquarters on the island of Hilton Head, South Carolina. Impressed with the unit, Hunter dispatched the 54th to serve alongside the Second South Carolina, a contraband regiment under the command of Colonel James Montgomery, an abolitionist from Kansas. Early in June, the 54th reported to Colonel Montgomery on St. Simons Island, off the coast of Georgia. With Montgomery’s troops they embarked on an “expedition” to Darien. Carrying out orders from General Hunter, Montgomery had his men pillage then burn the town with the assistance of one of Shaw’s companies. Appalled by this barbarism, Shaw protested but had to yield to higher authority. The incident plagued him until the end of his days. The negative publicity that resulted from the raid made Shaw twice as determined to prove the validity and capability of the 54th as a competent, honorable regiment. Following the destruction of Darien, General Hunter was relieved of his command and replaced by General Quincy A. Gillmore. The 54th remained with the Second S.C. for a while, and Shaw came to appreciate Montgomery as a well-spoken, religious man devoted to his cause, though he also found him repulsive for his fanaticism. Colonel Shaw invested much time and energy looking after his men and becoming better acquainted with them. He wrote to Governor Andrew arguing against the pay cut Stanton had imposed on black regiments on June 4, 1863. Shaw insisted that his men should be mustered out of the army if they could not be paid equally as white soldiers at 13 dollars a month. On a social level, he attended one of the men’s praise meetings and took a genuine, unbiased interest in the song and dance of the performers. At the beginning of July, a plan to attack Charleston was launched into action. Capturing the affluent harbor town would be a major victory for the Union, because of the town’s importance to the Confederacy and its strategic location at the juncture of the Ashley and Cooper Rivers. Should this campaign succeed, the Federals would also regain possession of Fort Sumter. 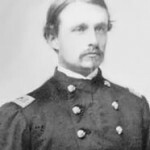 Upon discovering that the 54th was not to be included in the campaign, Shaw wrote to his brigade commander, General George C. Strong, expressing his disappointment. He had high hopes for his regiment and wanted them to engage in battle alongside white troops so they could prove their worth as soldiers and be proud. The men would finally be put to the test on July 16, eight days after being ordered to James Island. The Rebels made an attack on the Federal army and Shaw’s men staunchly resisted the blow and prevailed. They had, as Shaw wished, fought hard and fought well with white soldiers against white Confederates. But there would be no rest for the weary. That night, the 54th received orders to march through the treacherous mud flats. Bound for General Strong’s headquarters on Morris Island, just within reach of Charleston, the regiment had to traverse one small island after another to arrive at their destination. The following day, tired and hungry, the men lingered for hours in the scorching heat awaiting a steamer to Folly’s Island. Just before midnight they were on board, and on July 18 Shaw reported to Strong’s headquarters. The colonel was presented a great challenge and opportunity: Would he have his men lead the charge to attack the indomitable Fort Wagner? Only a few days ago other troops had attempted to take the fort and failed. However, if the 54th could succeed, a significant victory would be celebrated by all in the Union. To this request, Shaw answered a firm “yes.” He would place his duty and loyalty to country, family, and regiment above his own personal desires. For deep within he held a secret fear that this would be his last engagement. That evening, the brave colonel led his men in the charge along the beach to the fort, as shells and shot rained down relentlessly on the gallant 54th. Though their lines were mowed down and bodies strewn across the sand, he rallied the surviving men onward to scale the walls of Fort Wagner. As Shaw reached the top of the parapet, he was struck by a bullet and killed. The following day, his body was buried in the sand along with those of his men. The mission to take the fort did not succeed, but the efforts they made and the significance of what was achieved in that fateful event would not be forgotten.